If you enjoy fun, smashing personal records and hanging out with friends and family in a cool environment (and who doesn’t love all of that? ), then it sounds like going bowling is what you need to do. Some join bowling leagues while others only bowl a couple times a year, if that. So if it’s been awhile since you’ve made it down to the lanes, we encourage you to come down to our Albuquerque bowling alley here at Lucky66 Bowl! So, if our enticing intro paragraph didn’t immediately want to make you shoot for those strikes and spares, maybe 5 good reasons to go bowling will. Don’t forget that our bowling center also offers sand volleyball during the warmer weather and banquet halls for Albuquerque events during any time of the year! Click here to learn more. 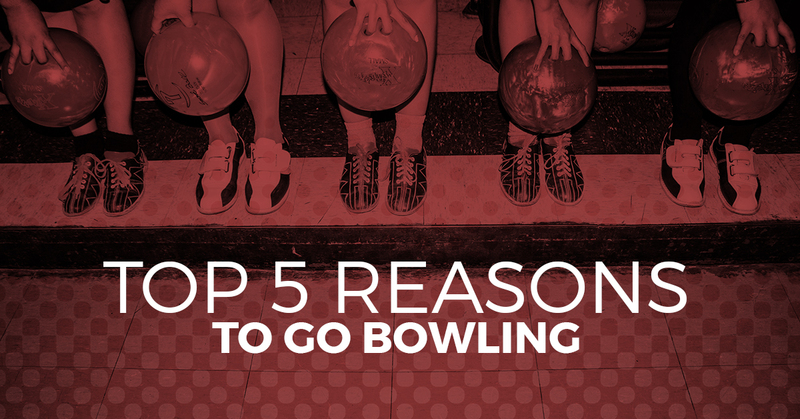 Why not take your work team or sports team out for an evening on the lanes? It’ll be fun. You can form mini-teams within your team to face off against each other, and even place friend bets as to which mini-team will win. Just make sure to keep the competition friendly, because, at the end of the day, it’s just a game! Is it just a game, though? Some people like to think of bowling as a competition against yourself, and it makes sense – after all, it’s just you, the lane, and ten pins when it’s your turn. Can you finally break that score of 200 like you’ve been aiming to? Or for others, perhaps lowering the bumpers is enough of an accomplishment for the day. Either way, bowling is a unique game in the sense that you’re playing against yourself. Bowling is interesting because the concept could not be more simple, and yet the execution can often be painfully difficult. Indeed, you might throw the bowling ball the same way two times in a row and it does two completely different things. Why? It could be a number of things, but we’ll save that sage commentary for another blog post. Booyah! The feeling of getting a strike is almost unbeatable. Regardless of how you do it, whether you’re spinning the ball on the very edge of the lane or shooting it straight down the middle, there’s just something incredibly satisfying about seeing all of the pins fall down on your first try. Now, bowling multiple strikes in a row, let alone a ‘turkey’? That will give you bragging rights for at least a couple weeks. Been putting in long hours at the office, or are your kids just driving you up a wall? Drive down to the bowling alley, then! You’re throwing a heavy, circular-shaped object and other objects down a slicked surface…what’s not to love? While we discourage our guests from actually chucking the ball in the air, please feel free to really roll the bowling ball hard down the lane. Your mental health will thank you, and hey, you can even do a victory dance when you nail a strike or spare. Need we say anymore? Whether you’re hosting a bowling party or just coming down to play at our Albuquerque bowling center, make it happen by getting in touch with us today! Get Your Bowl On Here!